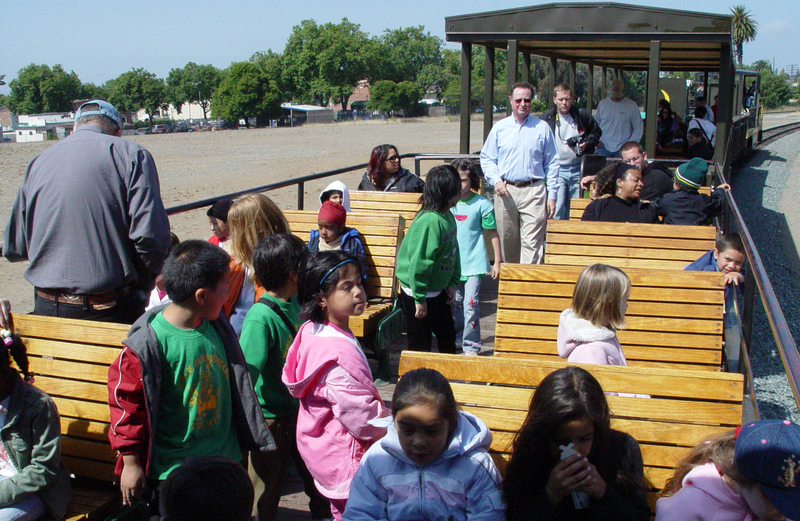 Learn all about Bay Area train travel on our weekday educational trains! Trains board at Niles and Sunol on selected dates throughout the year. Please arrive at your boarding location at least 20-30 minutes before your departure time. We request that teachers visit Operation Lifesaver, a railroad safety program sponsored by the railroads. There are coloring pages for young students and word puzzles for older students.On the day of the ride, teachers inform us as to how many students completed a one page activity. We will provide you with a free child trip pass for a regular weekend train operation for these students.We recommend that you staple the pass to their completed page and return to the students.